The auspicious festival of ‘Radha Ashtami’ is dedicated to Radha who is an incarnation of Goddess Lakshmi. It marks the birth Anniversary of Radha and is observed on the ‘Shukla Ashtami’ of the Bhadrapada month. The love of Radha and Krishna is unparalleled and till date is considered as the most pious and soulful love that has ever occurred between lovers. 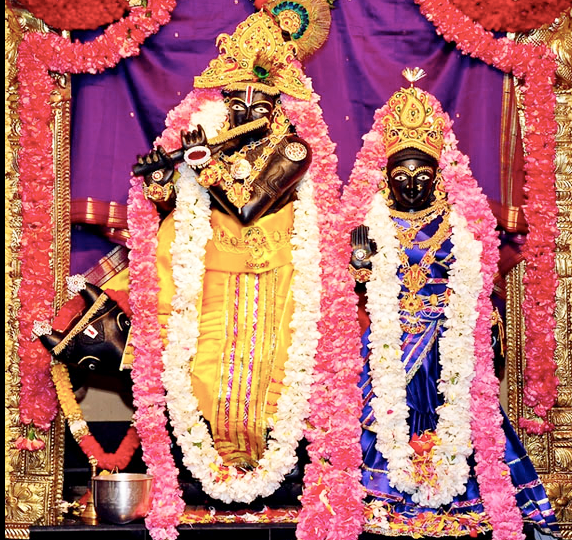 They are considered as one and thus Krishna amalgamates in Radha. It is said that if one manages to please Radha, Lord Krishna’s blessings are also sought because Lord Krishna resides in Radha. Krishna devotees offer their respect to Radha on this day in various temples specially at her birthplace, the holy city of ‘Barsana’. She was found as a new born on a lotus when Vrishbhanu went to bathe. Radha did not open her eyes until she met Krishna and she opened her eyes for the first time to look into Krishna’s face.